Learning is an active social and cultural endeavor. We need to not just teach what the district says. We need to go above and beyond. 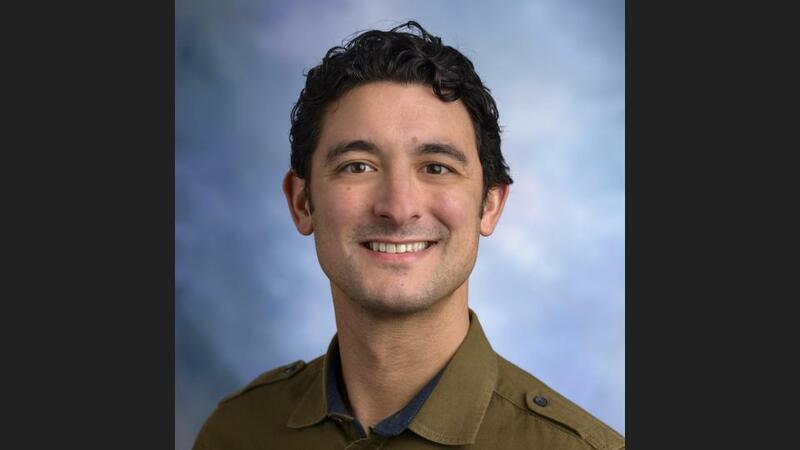 Driven by a desire to improve his students’ opportunities for success, he came to the University of Washington College of Education to explore principles of justice, literacy and teacher education during his doctoral studies. Hackett recalls courses with professors Megan Bang, Cap Peck and Ken Zeichner, specifically. 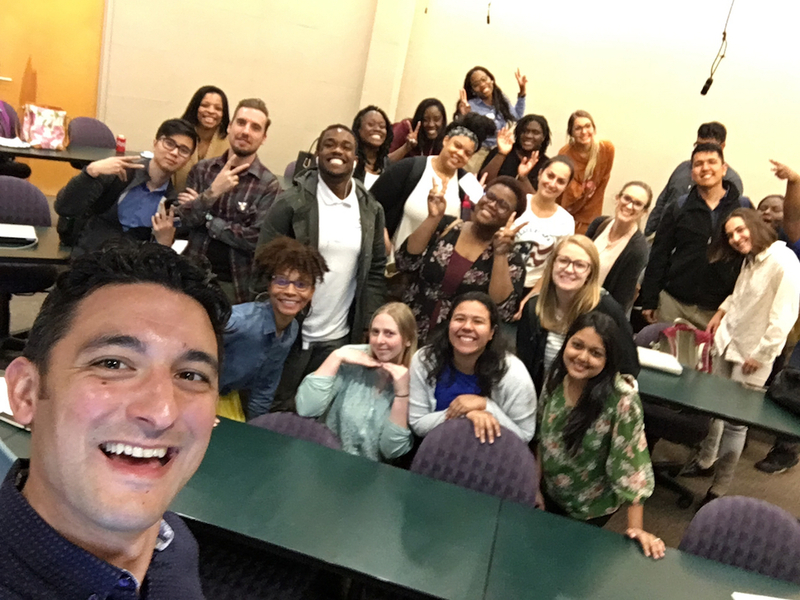 Today, as a researcher and instructor at Georgia State University, he focuses on advancing justice and equity in education through multiple projects. A co-principal investigator for the university’s Collaboration and Reflection to Enhance Atlanta Teacher Effectiveness (CREATE) Teacher Residency, Hackett coordinates a program that certifies teachers for middle school while completing their undergraduate degrees. Hackett also partners with Martin Luther King Jr. Middle School, part of Atlanta Public Schools (APS), in three tiers, one for each of his other roles as instructor, investigator and researcher. As a GSU instructor, he locates teacher preparation classes at King. As a CREATE investigator, he collaborates with school administration to analyze and redesign the path of teacher progress through their university experience and into their first two years of full-time teaching. And as a researcher and creator of Atlanta Schools Critical Education Network of Distinction (ASCEND), he works with King Middle School teachers and instructional coaches to implement critical literacy, justice and community expertise into their curriculum. The Seattle Teacher Residency connected him with that network after he worked with STR, a UW teacher preparation program. Many of his students at Georgia State go on to the CREATE residency. As an insider of both organizations, Hackett ensures the residency programming keeps students on the same page and continuously growing. GSU students enter the residency as seniors. After graduating with their undergraduate degree and teaching certificate, each student completes two more years as a resident placed in an Atlanta school. Hackett’s role focuses on these second and third years. “That’s where I help you out and make sure you’re still honing your craft as a teacher. You get extra support through those challenging years, first as a teacher candidate and then as a full-time teacher” he said. Some of the more experienced teachers at King also serve as mentors for residents. “I’m really trying to take the long term perspective to develop strong and lasting relationships with the principal and administration there and to work for equity,” he said. Integrative programming is a huge part of the residency’s focus. Hackett and his colleagues want to support teachers, resident or active, in making connections outside the classroom, creating a project-based style and figuring out ways to involve community support. Hackett is also involved in a social justice literacy project outside the scope of his work with the residency program. The project — run by the community-based, social justice organization Project South — is affiliated with Hackett’s ASCEND network. The project seeks to expand the historical context that King students see themselves within. New class activities and materials, developed through team-building exercises and instructional strategies, focus on Atlanta’s history, the civil rights movement and the experiences of persons of color. Social justice writing, Hackett said, is one way to help students develop a voice about what they see in their communities and everyday lives. Hackett said concepts are already in place and he wants to see more implementation in the future of what’s already started, yet maintaining the quality of the program is his priority. Hackett brings several perspectives to the table, as a former teacher, a university instructor and a program coordinator, but he doesn’t lose sight of the middle school students at the heart of it all. The multi-level partnership with a single school allows student participation and justice to be the ultimate goals. Designing the experience for new teachers focuses them, and Hackett and his colleagues permeate that design through all levels of contacts that pre-service teacher make — students, King teachers, King administrators and APS administrators. How do you design learning environments to support student participation? How do you also integrate content that comes from the students, that involves the students and injustices present in their neighborhood?